If your house is on the market to sell, or you’ve gone through the process of selling a house before, then you know all too well how important it is to have a fast-action plan for getting it ready for a showing. We recently put our house on the market and I shared some simple tips for getting your house ready to sell. 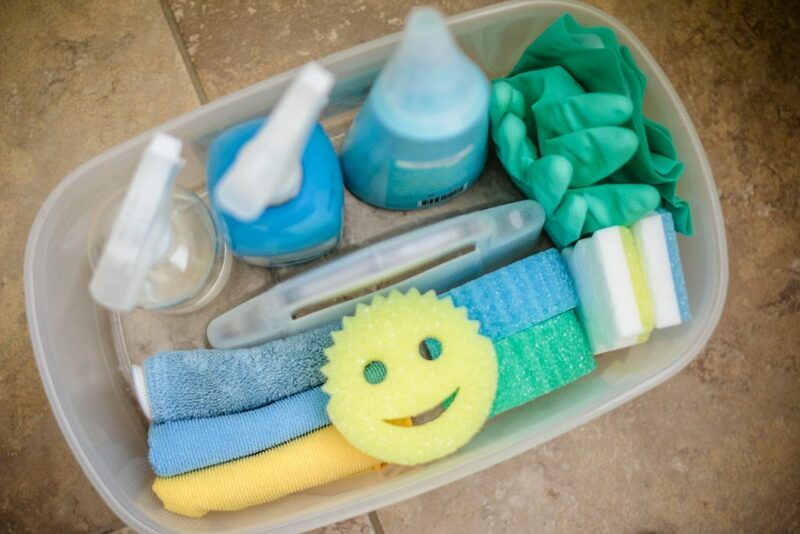 A few of those tips involved deep cleaning, as well as having a fast clean-up basket of supplies always ready for last minute showings. Here’s how the scenario usually went for us when it came to showings that happened quickly. We would receive a text saying someone was interested in a showing at a particular time. We would then do a quick pick up of any items that were left out, make beds, straighten pillows, wipe down bathrooms and kitchen and vacuum. Since we had done quite a bit of prep to get the house ready to show, getting ready for quick showings was pretty straightforward. Inconvenient at times, yes but also well worth the hassle! One thing to do to make wiping down the bathrooms and kitchen go faster is to keep a basket of everything you need altogether. That way you’re not rounding up all of the cleaning supplies, cleaning cloths and sponges every single time. And if you have the right kind of supplies on hand, your basket won’t need much in it and clean up will happen in a jiffy. All purpose cleaner – Using a cleaner that can get all the jobs done helps make cleaning go way faster. I use one that doesn’t have a chemical smell but is a nice clean scent. After we’ve used it, the entire house smells incredible. Toilet bowl cleaner – It’s a good idea to give each toilet a quick clean inside. Just spray, brush and you’re done! Glass cleaner – You can use a good quality glass cleaner on the mirrors and fixtures, making them shine. Just spray and wipe down with a microfiber cloth that doesn’t leave lint residue. Rubber Gloves – Protect your hands from germs and cleaning chemicals with a simple pair of gloves. Wearing these will also save your hands from getting dry after being in the water for so long. Cleaning cloths – I prefer microfiber cloths in different colors. One, they don’t leave any lint residue on fixtures and mirrors. And two, if you have them in different colors, you can differentiate between which ones you used for the toilet, which ones for the sink, etc. You wouldn’t want to wipe down the toilet with one cloth and then head to the next bathroom and accidentally wipe down the sink with the same cloth. Sponges – This is where your time can be cut in half the most, by having a variety of good quality sponges to get the job done quickly. 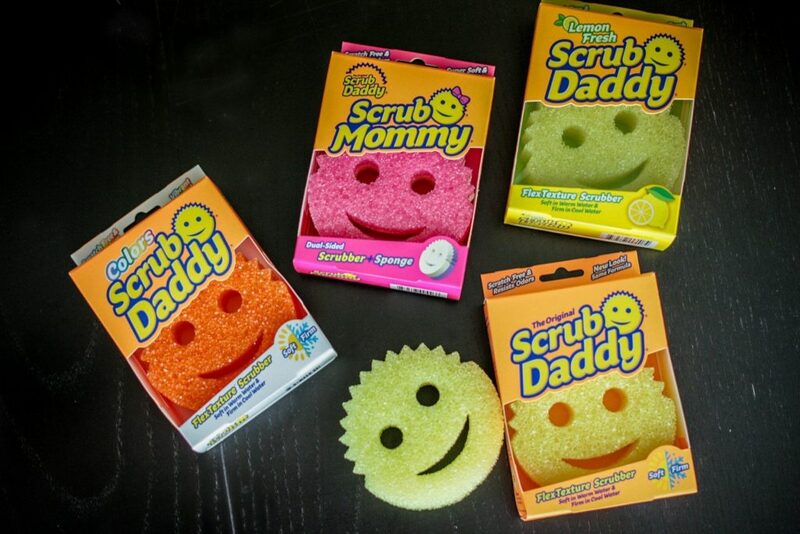 I’ll never forget watching the Shark Tank episode with a product called Scrub Daddy featured. It was one of those products that made you think ‘I have to have that!’ So when they reached out to Mom Fabulous to test out and feature their product, it was a no-brainer. It has some serious scrubbing power! 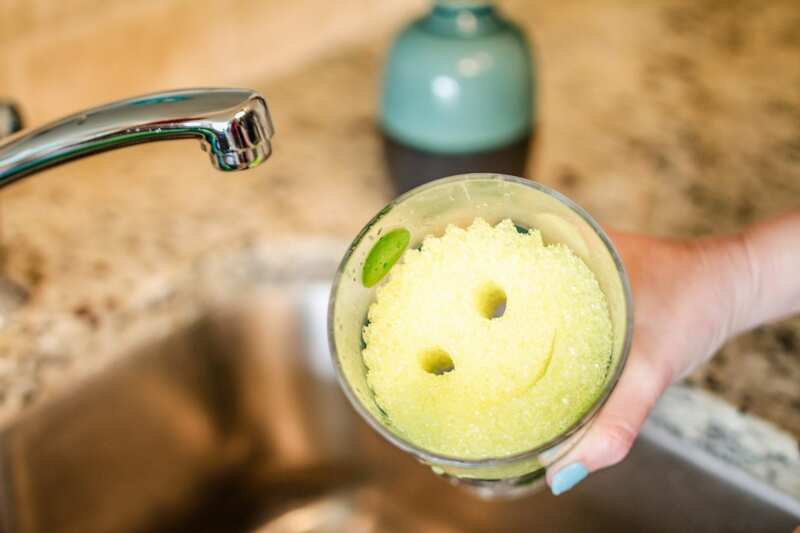 Needless to say, The Original Scrub Daddy is one of those products that makes cleaning less of a chore. 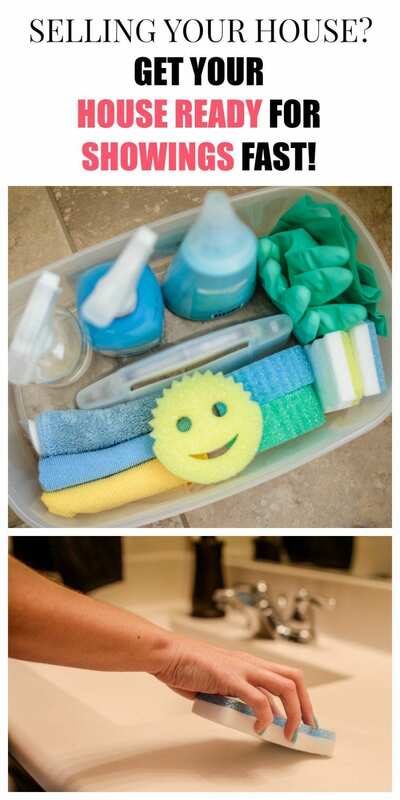 The scrubbing action is like none other, plus it’s a sponge that will last much longer than your regular every day (non-smiling) sponge. No wonder it’s American’s Favorite Sponge! 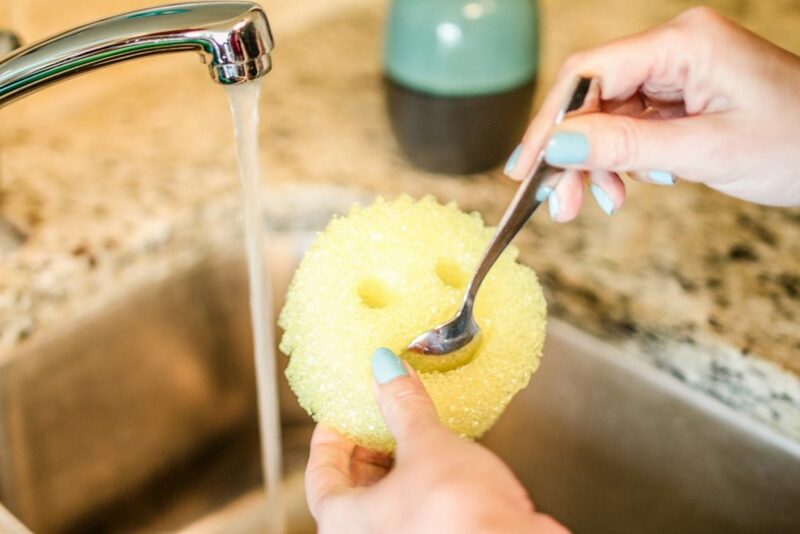 Not only do we have The Original Scrub Daddy in several colors in our fast clean up basket, but also another one of their products that have been a huge time saver. I’m talking about Eraser Daddy. Eraser Daddy has a scrubby side and an eraser side. 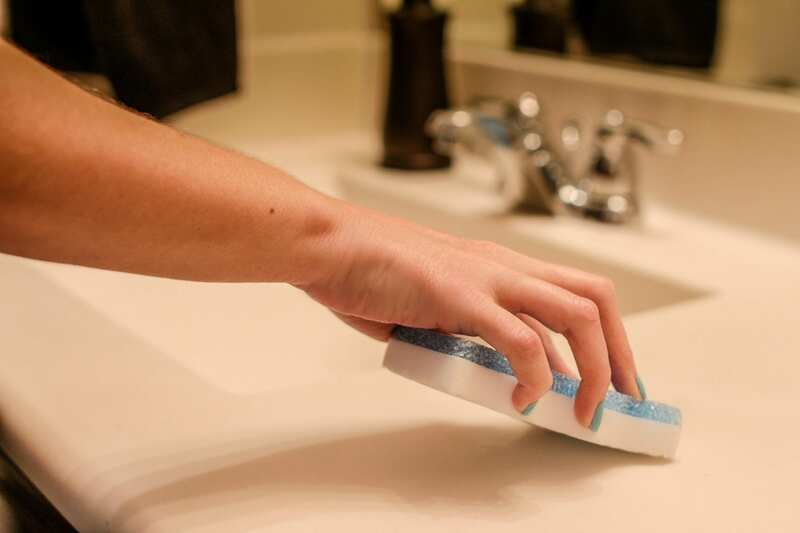 We used the eraser side to get rid of everything from rust stains in our kitchen sink, scuff marks on baseboards and grime and dirt that likes to collect on the sides of the tub. This is just one more ingenious product in their line-up. Would you like to try Scrub Daddy for yourself? 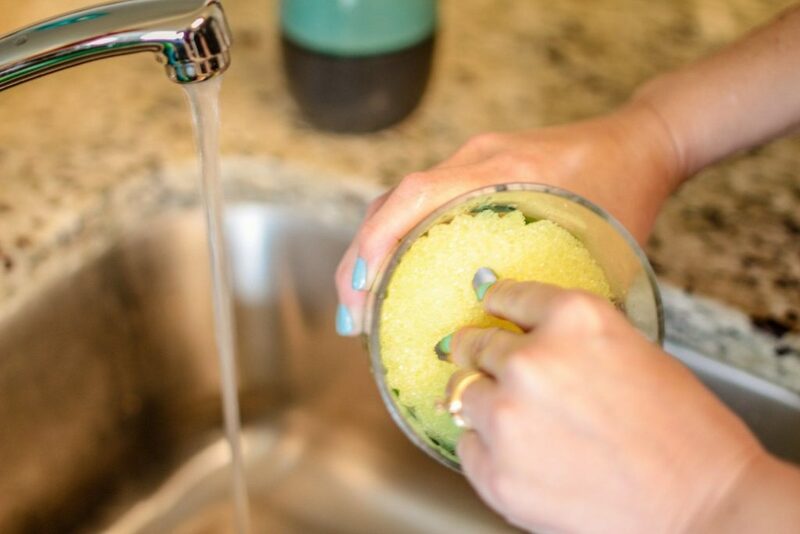 Whether you’re getting your house ready to sell or just need a sponge to help with those daily household tasks, I highly recommend trying out a Scrub Daddy product for yourself. They’re available at All Major Retailers. Be sure to follow the Scrub Daddy Facebook for updates! Have you ever had to get your house ready to sell and deal with those last minute showings? I’m happy to say we’re out of the showings stage and are officially under contract! Thanks for the fantastic review! The pictures really added a nice touch.